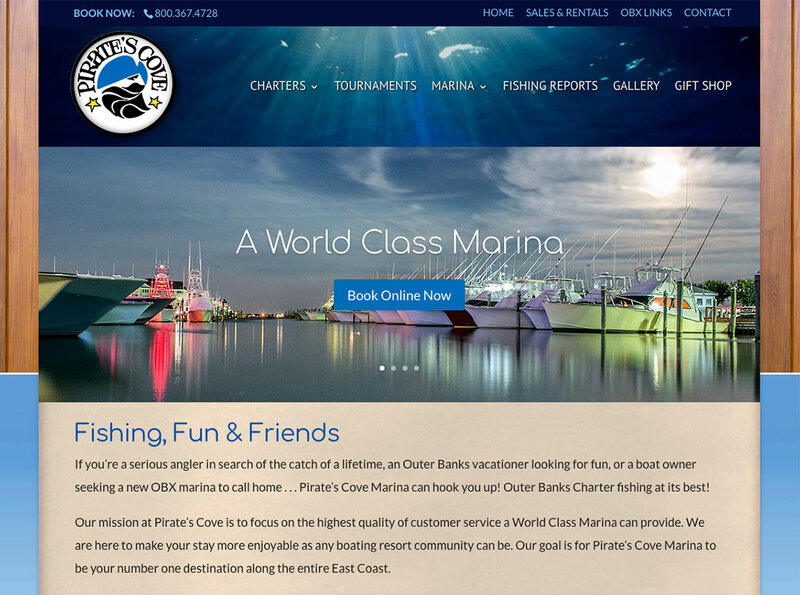 Pirate’s Cove Marina is one of the main central hubs for fishing Charters on the Outer Banks, so they were in need of a top notch website to accommodate their clientele’s needs. Pirate’s Cove holds customer service as one of their top priorities, and wanted easy contact methods integrated into their site. They also wanted to provide substantial information to their readers with a fishing report and blog. Pirate’s Cove Marina features an on-site gift shop, and wanted to make this available online as well with a shopping cart feature.